Are you tired of the same old thing when it comes to corporate parties, product launches and PR events? Get something that’s both different and surprising! Your guests are sure to get into the party spirit thanks to our semi naked butler service!Adding a bit of cheek to events is as easy as getting cheeky butlers and waiters in the buff to serve your guests. Our hunky butlers provide smooth service with a difference! Do you want to add a touch of class and a soupcon of something naughty to your corporate event? Have a chat with us, we’ll add some extra zing to the event. Buff butlers will certainly get your guests to sit up and take note! Our semi naked butlers wear collar and cuffs – but very little else and once everyone’s got over the surprise, they’ll be ready to let their hair down and party like never before. You might even decide to make it a theme party, and we’ll find the costumes to match as well as themed party games that will break any ice that’s left to be broken! Call us for spicy corporate party ideas that will be talked about for years to come. London tends to be a bit blasé. Party goers think they’ve seen it all, but have they seen a semi naked butler? He’ll serve you with perfect professionalism and courtesy and he’ll offer an interesting view for those who like to see a bit of boy-booty! Corporate party ideas for London have never been so cheeky. Our waiters in the buff are all absolutely gorgeous, but they’re also party people who know how to get people enjoying themselves. Watch the ladies queueing up for photos while our hunky butlers offer them that perfect pose. A corporate party in London doesn’t have to be boring, stiff or staid and the lads know how to get everyone to loosen up and have fun. Alternative corporate party ideas have never been so spicy or so accessible.Make your corporate party weekends memorable with charming naked butlers who are ready to serve your guests hand and foot. Why not have them feed the ladies strawberries? It’s always an occasion for fun and laughter and it makes for a great photo opportunity! A corporate party in London can be edgy too! 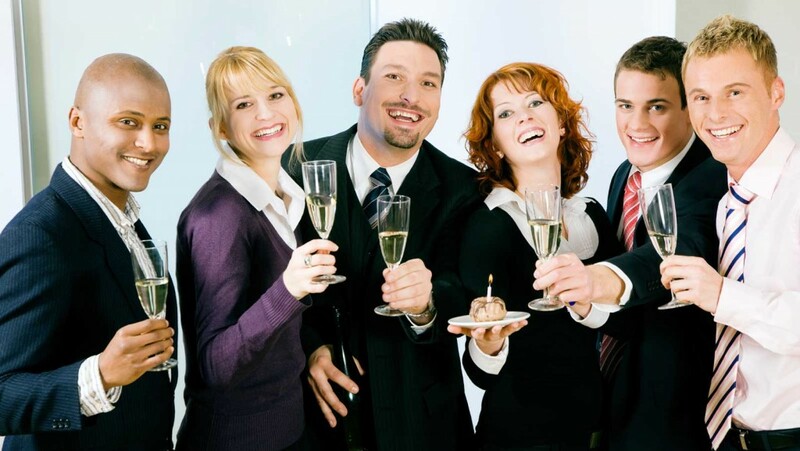 Alternative corporate party ideas for London are at your fingertips. Give us a ring or drop us a line! Once you’ve seen what we can do for your corporate party, you might be keen to treat a friend to a memorable hen night, bridal shower or even comfort her with a divorce party she’ll never forget. Theme parties lend themselves to thematically semi-dressed hunky butlers and of course, gay party goers just love a good gay party with hunky butlers and cheeky waiters. How about organising an unforgettable girls’ night in? It’s easy with our super hunky butlers. They’ll even do catering and the kitchen is likely to become a favourite hangout while the food is being prepared! Call us or mail us now and get all the information that you need!